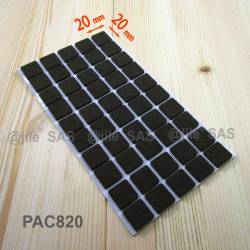 20x20 mm square felt pads BROWN - sheet of 50 self-adhesive furniture pads. 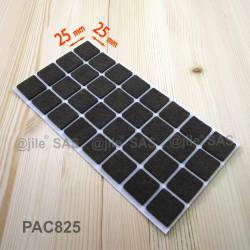 25x25 mm square felt pads BROWN - sheet of 32 pads for hardwood floors. 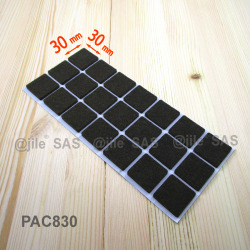 30x30 mm square felt pads BROWN - sheet of 21 adhesive scratch protector felt pads. 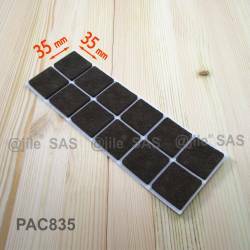 35x35 mm square felt pads BROWN - sheet of 12 self-adhesive wood protector felt pads. 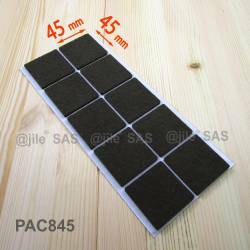 40x40 mm square felt pads BROWN - sheet of 12 self-adhesive felt pads. 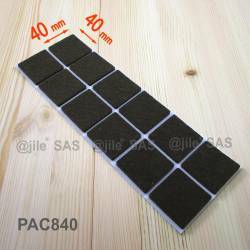 45x45 mm square felt pads BROWN - sheet of 10 stick-on furniture pads. 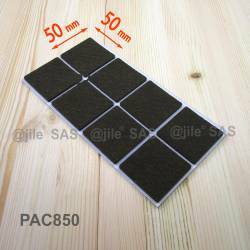 50x50 mm square felt pads BROWN - sheet of 8 stick-on pads for hardwood floors.